we have an urgent question we currently analyze variants from exon based on amplicons. The short exons are covered by the end of the foreward and reverse read. Unfortunately the error-rate at the end of the reads is quite high. So the region with the high error-rate of both reads covers the exon region. Is reliable call still possible (excluding softclipped reads, reads with low quality,...) due to the high coverange of amplicon-data >20k reads per position. Attached an example from igv (softclipped reads shown as well). You can always try running some tests and see what the confidence scores and annotations look like, but to be honest I wouldn't expect much from this data. Even with very high depth, given the amount of noise it's unlikely that any calls coming off this would be reliable. 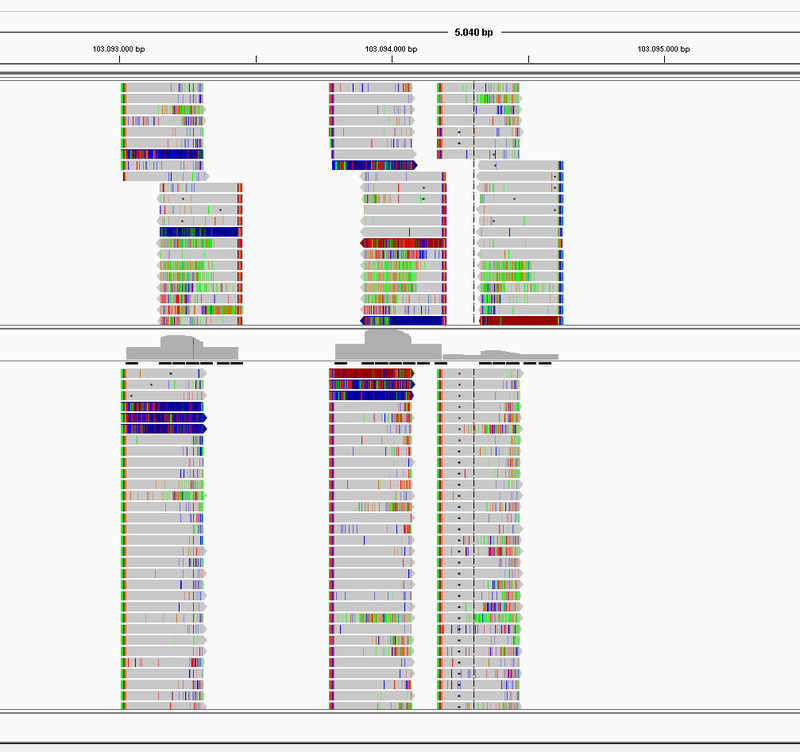 The high depth, when it's from amplicon data, is likely to amplify errors as much as real variation. I would certainly be extremely reluctant to use this data for any diagnostic purposes. My advice is to get fresh sequence data if you can.